The most prestigious immigration program of the Federal Canada, Express Entry Scheme is now slowly attracting more number of applicants. The recent 2nd Express Entry Draw in the year 2016 has invited 1513 applications with the CRS score 453. The policy analysts have suggested the serious decline of the CRS score in the next draws. 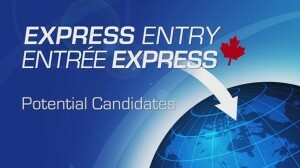 If the trend continues, some applicants will be allowed as part of PR Express Entry to Canada. Canada has become the most favored destination for skilled professionals, and people are more attracted to its healthy lifestyle and high payments. Initially, when Express Entry scheme was launched in the month of January 2015, the CRS score was comparatively high, above 800, there was great dejection from the applicants who failed to do so. In the early stage, additional points were given to the authentic experience and points were added on various grounds. Now, people started understanding the process with the decline of the score in the second half of the 2015 year. The decrease of CRS points started from the October till the last draw in January. The significant drop in the CRS points of last seven draws is from 489 points to 453 points. It is good news to all the previous applicants who failed initially as the Express Entry profile is valid for one year. They can apply once again in different categories. Canada is also in dire need of skilled professionals from various parts of the world. Canada Express Entry Scheme is a permanent residence program for skilled professionals. It accepts applications into three categories. If i get 422 points then how many of days should i wait for Canada PR Status.